Going on a career break can provide an exhilarating sense of freedom, but neglecting those niggling responsibilities at home can result in untold nightmares when you finally return to the real world. Don't underestimate the importance of ensuring that all your personal finance matters are taken care of whilst you're away, especially when it comes to tax. 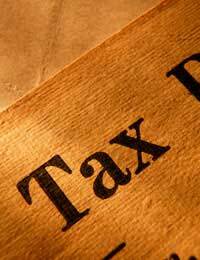 Tax is often seen as a dirty word, one most people don't like to dwell on for too long. But with the help of a qualified tax expert or a friendly soul at Inland Revenue, you can ensure that you properly take care of all taxing matters before you embark on a career break, leaving you free to concentrate on more important things in life - such as having a good time! If you are on PAYE, keep your P45 safe for when you return, even if you don't plan to go back to your old job. And if you need to file a tax return while you are away, make provisions to do this - or plan to file on-line from afar. If you take a career break for less than one year it's unlikely to affect your tax code. Renting out your flat counts as taxable income, so make sure you report all rent received to Inland Revenue. Often you can offset repairs to your property beforehand, if necessary, and you also offset some of the income you receive from the rent against your mortgage payments. Many people don't realise that missing National Insurance contributions can make you ineligible for maternity payments, unemployment and incapacity benefits and may also affect other related personal finance issues. Contact the National Insurance Centre to discuss this in advance of your break - you may consider making voluntary payments before you go. If you are on benefits such as Housing and Council Tax benefits, normally you can continue receiving them for up to 13 weeks only. Notify Inland Revenue with the dates you will be away in writing beforehand. Similarly, you will normally not continue to receive Income Support or Jobseeker's Allowance after four weeks abroad. Taking a career break to start a home-based business means that you can offset a proportion of your household expenses that are related to your work, i.e mobile phone, magazines, insurance, broadband connection etc. That means you could be entitled to a tax rebate. If you plan to travel part-way through the tax year and are on the PAYE system, an income tax rebate could eventually be winging its way to you as you have no doubt overpaid for that year. Check to discover what you could be owed. Leaving in the middle of the year and coming back home following the beginning of the next year is one way to get back more cash. Getting away from your daily grind can be a fantastic way to recharge your batteries and enjoy life to the fullest. Quitting your day job to opt for a career break can be one of the smartest moves you'll ever make, but not if it messes up your financial preparations for the future. With careful planning and good advice, your career break can provide immense personal benefits without having a negative impact on the financial side of things.